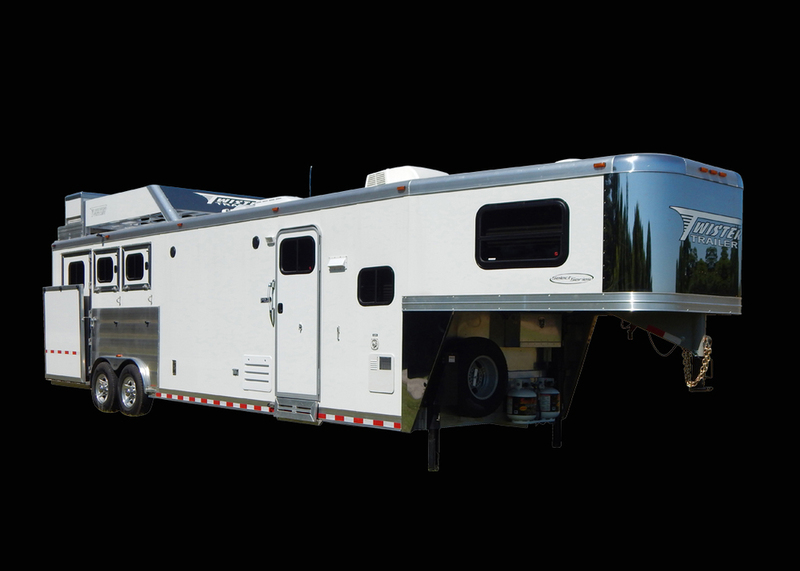 It all started when a passion for the western industry was met with the need to create unparalled quality in horse trailers . Since 1998 Twister Trailer has continued to create the premier trailers in the industry. Constructed only from the highest quality materials, and custom made components, it is no surprise why Twister is the most reliable trailer on the market today. Twister’s Stock trailers are built to last and be tough. Our Stock trailer will help you get your job done, from hauling cattle to the Sale Barn or horses to the Rodeo. You can customize your Stock trailer to haul any type of animal from cattle to deer and every animal in between. No matter what your Stock trailer needs are, Twister can build it for you. Twister’s Speciality Trailers are designed to fit your individual needs. Along with Cargo trailers, Twister has become the leader in designing horse spa therapy trailers. Our Speciality trailer can be used to haul a race car, food service, medical, oil field, or vending. The possibilities are endless. No matter what you’re hauling or doing with your Cargo trailer, we can build it for you.